Rock climbing is a great way to get outdoors with friends or family. While many people view climbing as an extreme sport, the reality is that it is very safe, as long as good procedures are followed! Our expert guides ensure safe climbing practices are used and make sure everyone gets the most out of the experience. We have climbing in the UAE and Oman with different options for all ability levels, we can help find the right course for you. If you're not sure what level you should be in, drop us a line and we'll help out! From AED 834.75 Experience the thrill of climbing, ropeless, above the clear waters of the Gulf of Oman! We'll board our speedboat for the day in Dibba Oman, traveling north along the sea cliffs about 15 minutes to the first DWS site, Shark Bay. This area has a variety of climbs and is the perfect place to learn and practice skills like falling/jumping into the sea from various heights. Once everyone is comfortable we'll move from site to site for more climbs, opportunities for cliff jumping and, snorkeling. 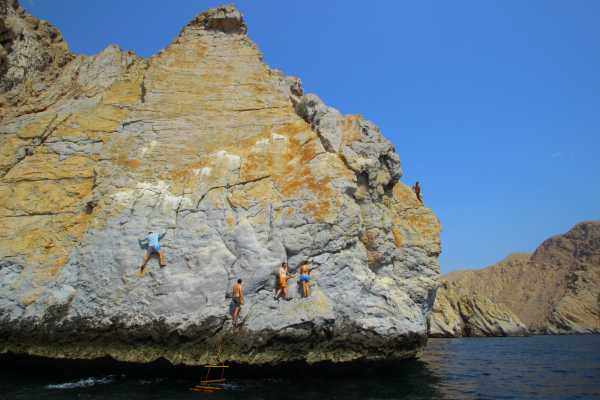 From AED 624.75 Experience the thrill of climbing, ropeless, above the clear waters of the Gulf of Oman! We'll board our speedboat for the day in Dibba Oman, traveling north along the sea cliffs about 15 minutes to the first DWS site, Shark Bay. This area has a variety of climbs and is the perfect place to learn and practice skills like falling/jumping into the sea from various heights. Once everyone is comfortable we'll move from site to site for more climbs, opportunities for cliff jumping and, snorkeling. 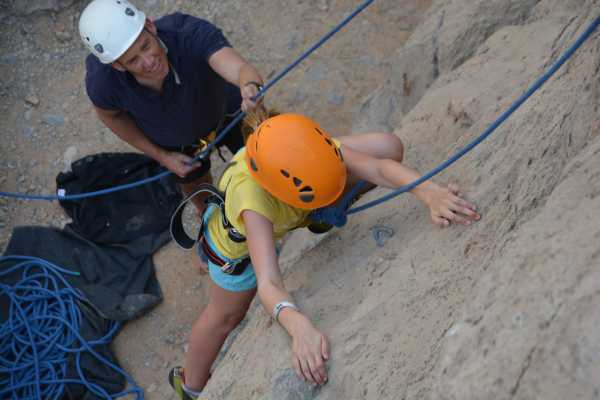 From AED 519.75 Our beginners course is an introduction to knots, equipment, climbing techniques and belaying, on real rock in the spectacular Wadi Khab al Shamsi. If you're looking to get into the sport of rock climbing, this is a great way to start off. Led by our highly qualified guides, you'll learn all of the basics in a safe and controlled manner. You'll learn new skills in a stunning wadi setting, rather than an indoor climbing wall. Being out with a fun group, connected to nature and challenging yourself on the wall is what climbing is all about!